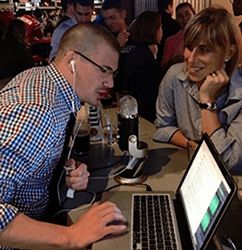 We talked with Pintcast regular Skye Donovan and we review a great APTA CSM 2018 Battle Plan. APTA’s 2018 Combined Sections Meeting in New Orleans is underway! What to do and when to do it with a day by day guide of the things you shouldn’t miss. Click here for the notes to this episode.